Myers Place is an innovative new four-story housing project in Mt. 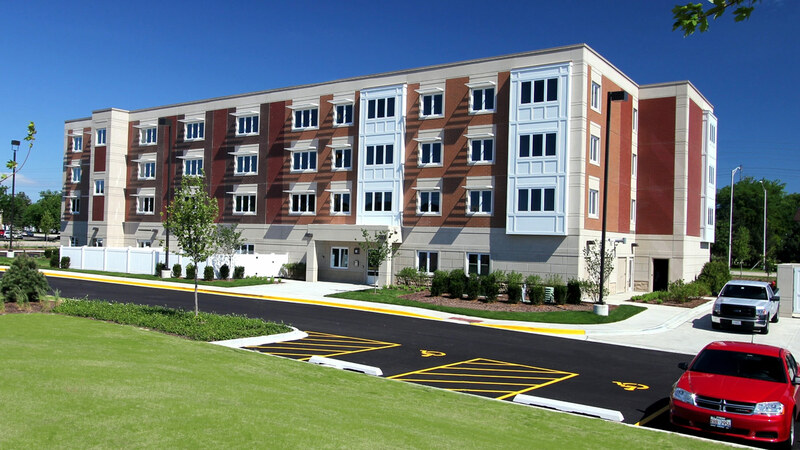 Prospect, Illinois featuring 18 studio units and 21 one-bedroom apartments. The first floor includes a retail space, community and computer centers, and laundry rooms. All units are spacious with generous natural light and ventilation. Other key design features include onsite management; 24-hour security; extensive ground landscaping; separate private storage areas for each resident; and bicycle storage. The building is easily accessible to public transit. Parks, services, and shopping are all nearby. In addition to providing affordable housing for people living with disabilities or facing homelessness, Myers Place also provides supportive housing for military veterans. According to Jessica Berzac, Vice President of Acquisition and Development for Daveri Development Group, occupants of the living units will be self-sufficient and capable of living on their own. Staff will provide on-site case management services and substance abuse services. Vocational support will be offered helping people search for jobs, land jobs, and become more independent. 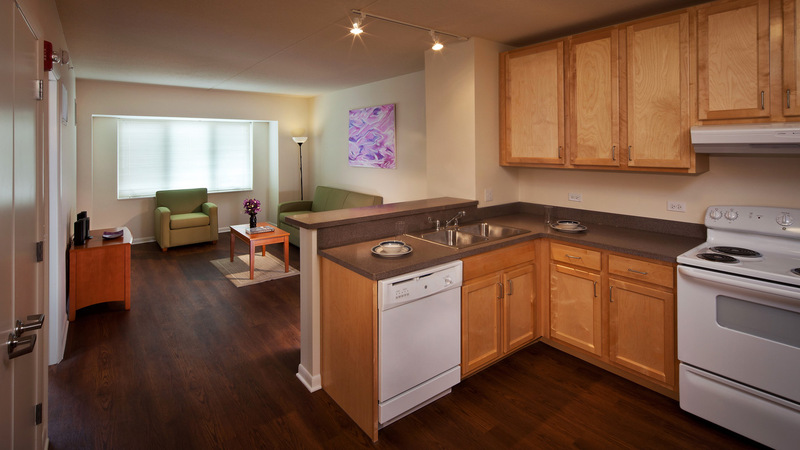 Myers Place's designs are energy efficiency and meet LEED standards. Its design employs a vertical ground-source heat pump system to heat and cool residential units allowing this system to demonstrate a 30% reduction from typical energy use. 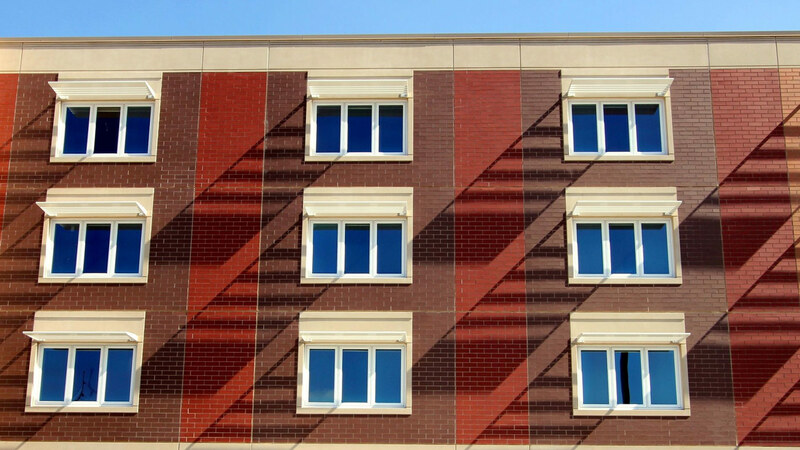 Exterior walls are designed for maximum thermal efficiency and include sun screens on south and west-facing windows to reduce heating and cooling demand. Other sustainable features include locally sourced materials, recycled material content, and drought-tolerant landscaping. The architecture of Myers Place uses lively blend of cast stone and face brick, a variety of brick colors, and details that emphasize the different interior uses of the building all creating a "sense of place". 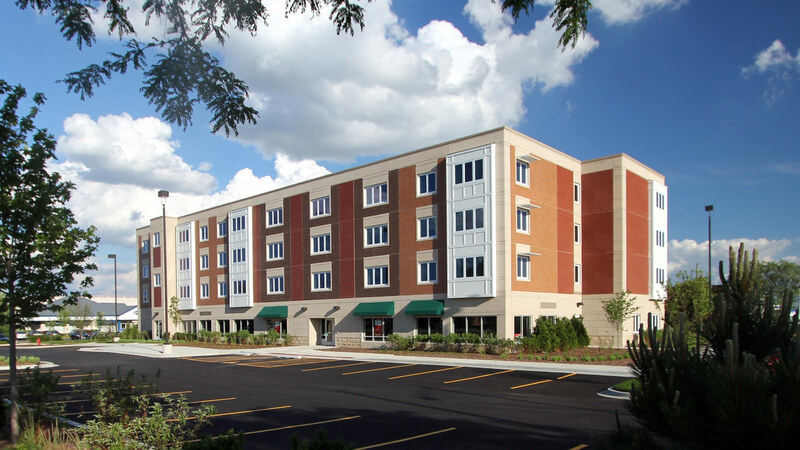 Its design reinforces the Myers Place mission to provide access to high quality affordable housing for people with mental or physical disabilities as they move towards recovery or self-sufficiency. Daveri Development Group, LLC collaborated with the Kenneth Young Center, along with Cordogan Clark's architects and engineers.